Discover spring gardening essentials with Down to Earth, a free interactive gardening event from UBC Botanical Garden’s Friends of the Garden. 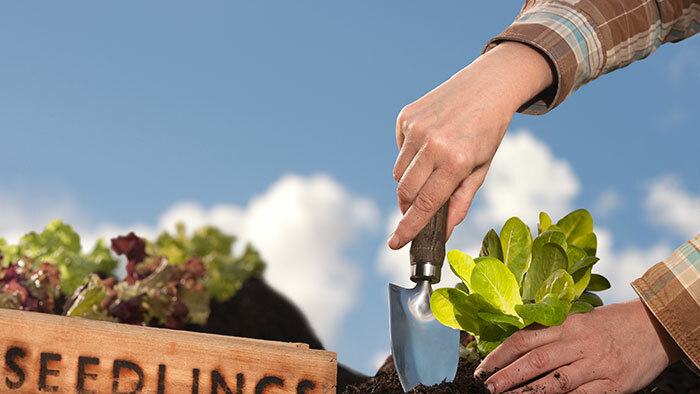 Learn how to grow food, herbs, shrubs and trees in small containers. Watch demonstrations and find out how to attract birds and bees to your garden. Got gardening questions? Get the answers from our Hortline Master Gardeners, FOG Seedy Growers and Greenhouse Tenders. Garden admission is FREE all day long! Parking is limited. We recommend that you walk or take transit! The Garden is serviced by the #49 UBC/Metrotown bus or the #C20 UBC Shuttle. Please check the Translink website for up-to-date bus schedules. Hi Claire – the event runs throughout the hours of 12 noon and 4 pm. The workshops and tours are spaced throughout the day, so it is no problem for you to show up at 2:30 pm and enjoy the afternoon. Hi, do we need to be at the event for a midday start? We have other commitments and would not be able to arrive until nearer 14:30. Would this be possible? Hi Kim – We have two handicapped parking spaces available. Hope you & your Mom enjoy the event! Is there handicapped parking available, and how many spots do you have? I want to bring my Mom for the event, but we will have to use a car. Hi Anne – for the Down to Earth event, it is free and there is no registration required. However we do have two workshops that day that require you to register: (1) the Sedum Wreath Workshop – you can register here, or (2) the Botanical Watercolours workshop – you can register here. You can email garden.programs@ubc.ca or call 604.827.3907 if you have any questions or problems with the online registration. Hope to see there you! Can I registe/, save two spots for this or is it first come first served.